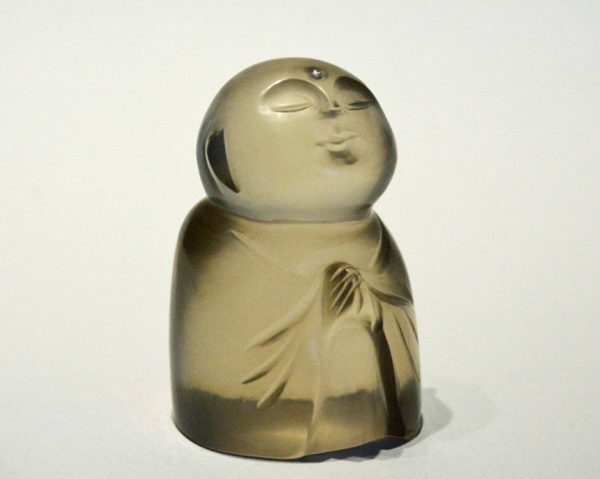 Jizo watches children with love. 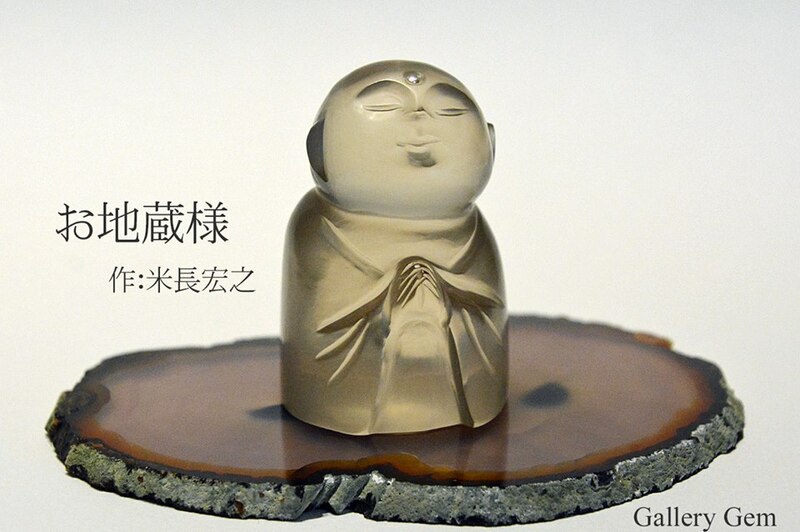 Jizo prays for peace of mind. 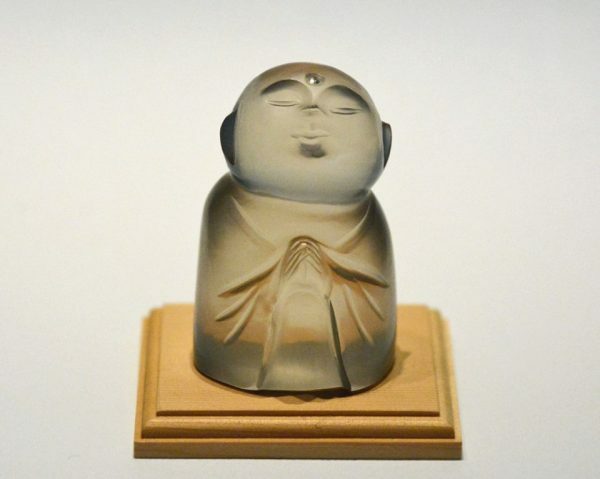 Jizo will answer your prayer. 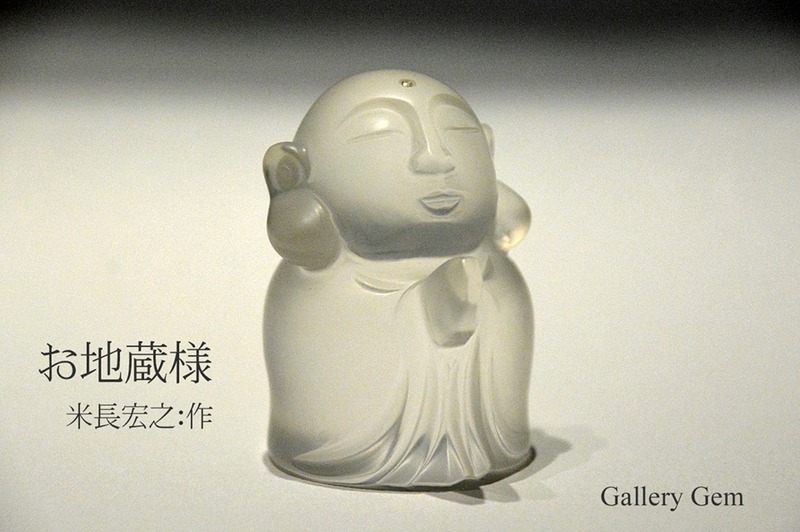 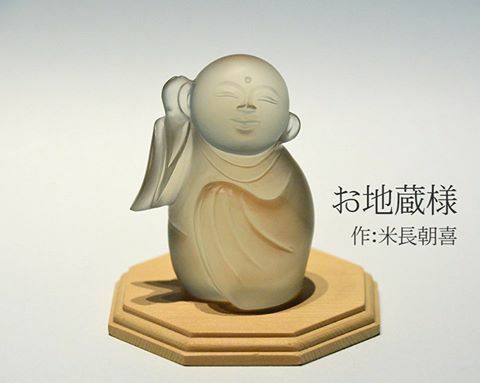 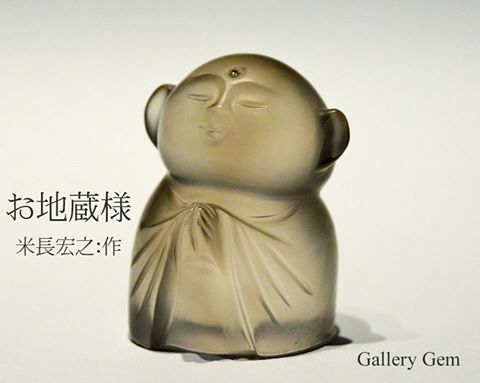 Prayer of Jizo for world peace. 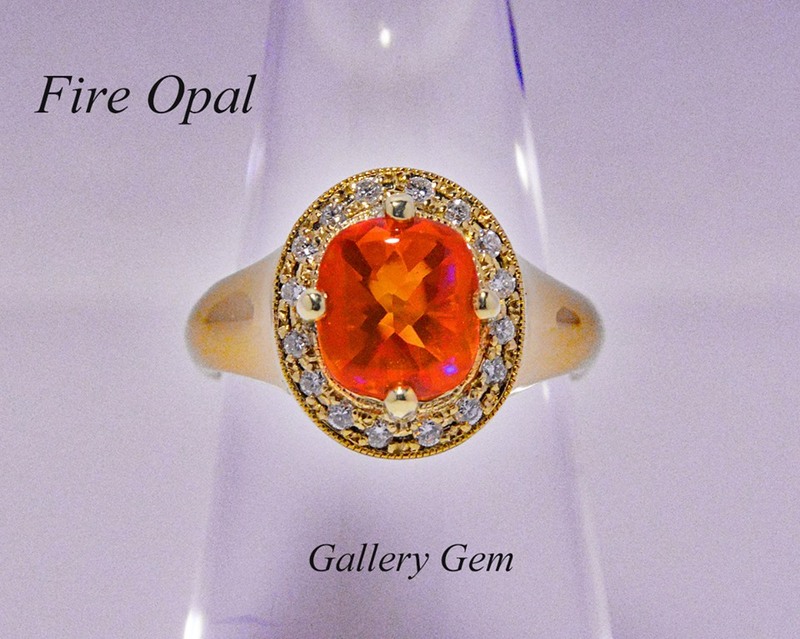 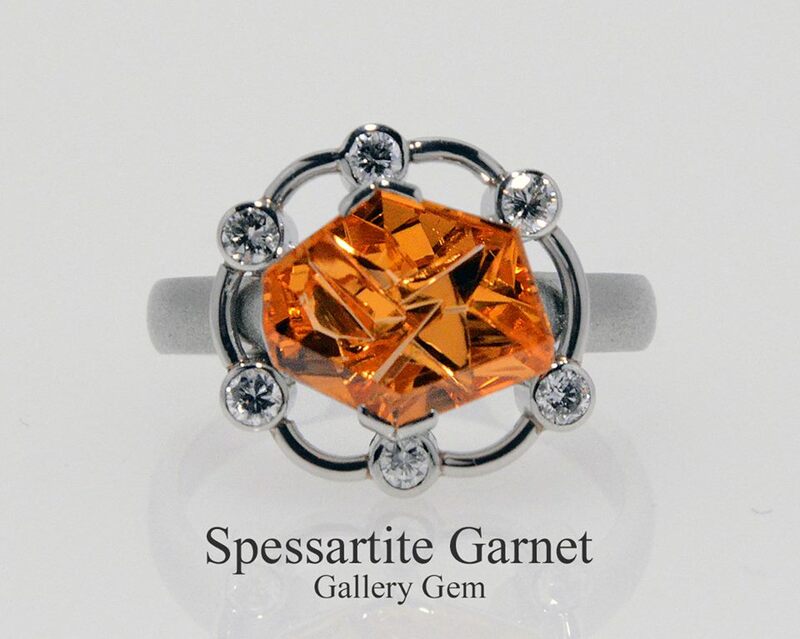 Mexican Fire Opal 2.06ct with 0.20ct diamonds. 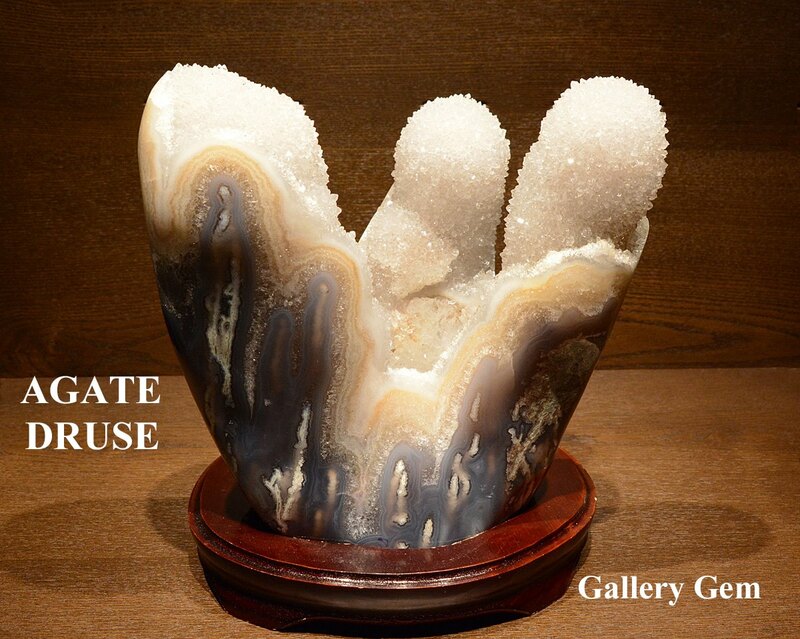 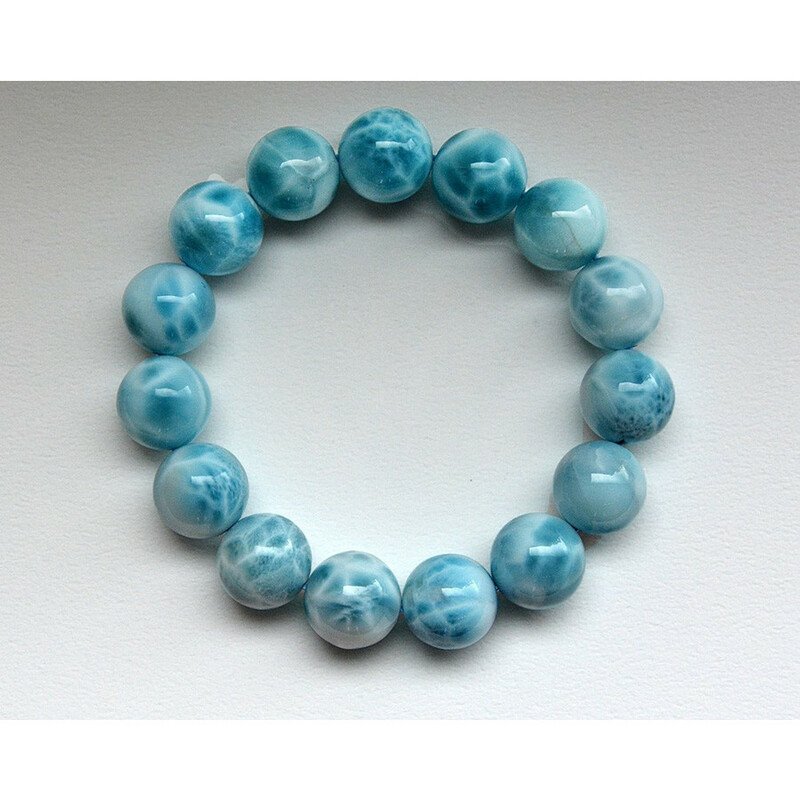 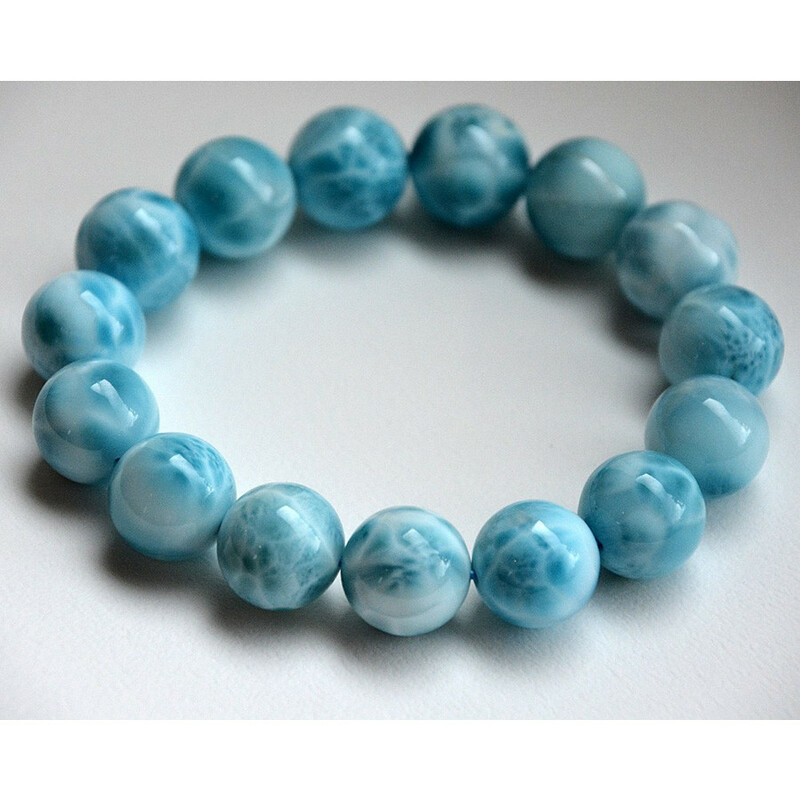 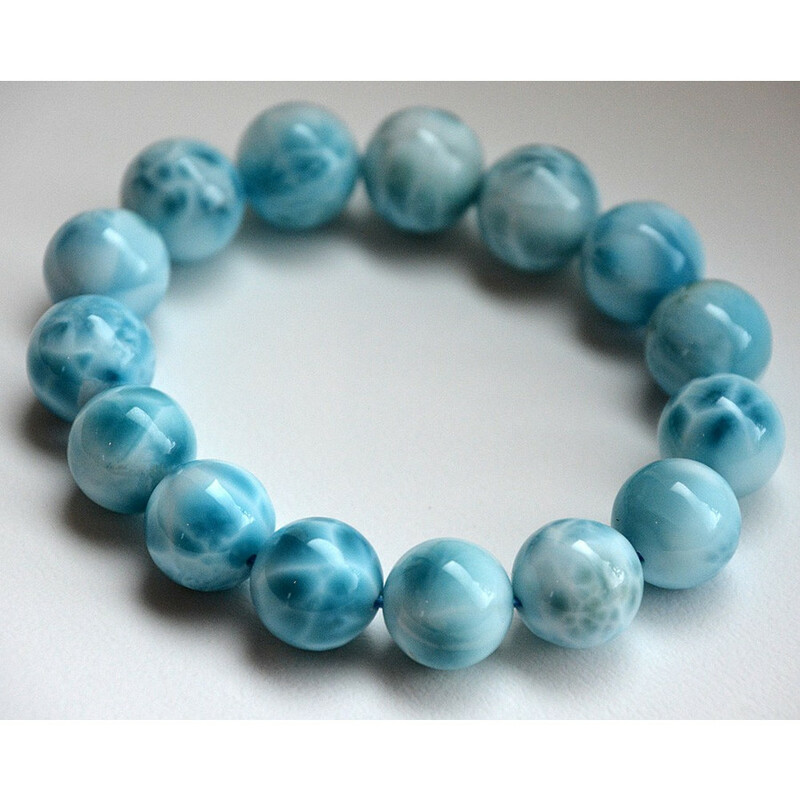 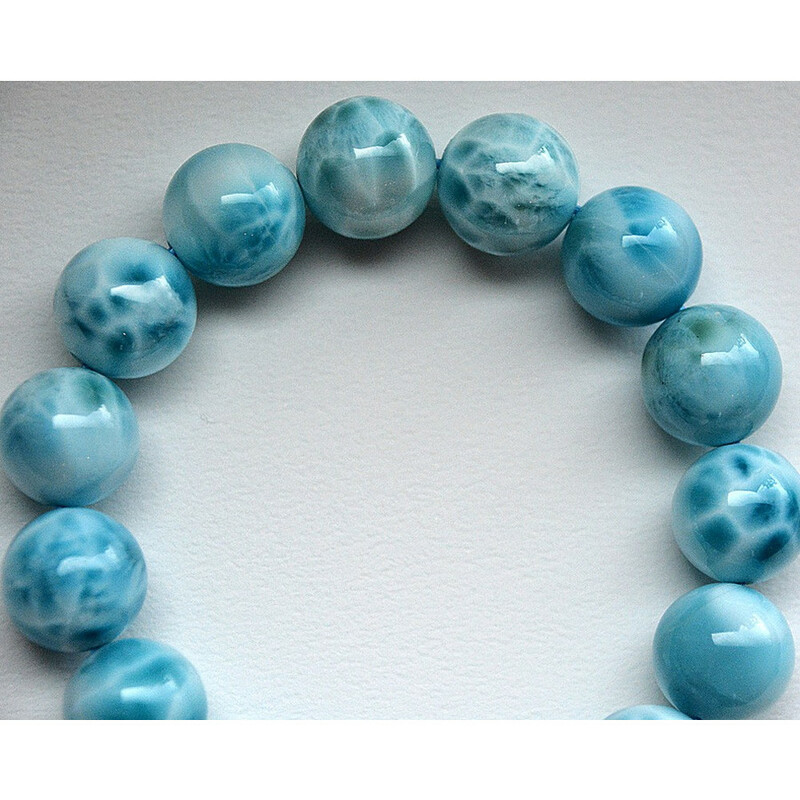 Agate Druse from Uruguay should be exhibit at Art museum. 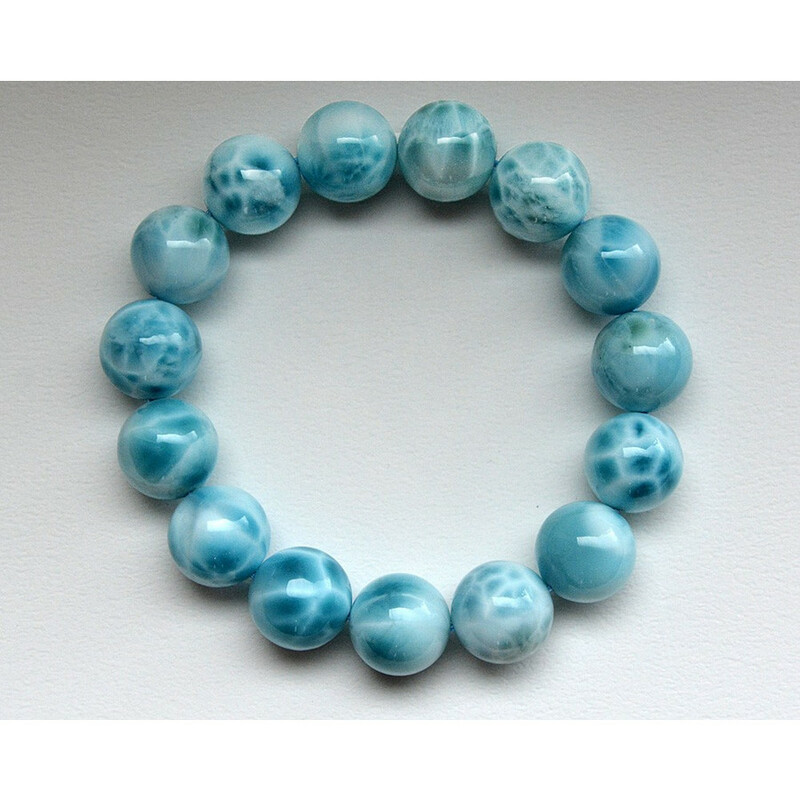 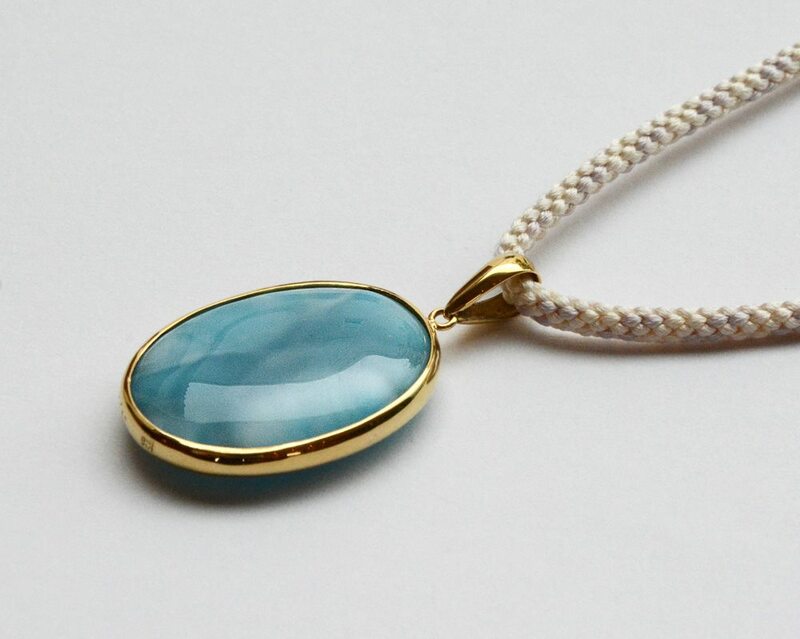 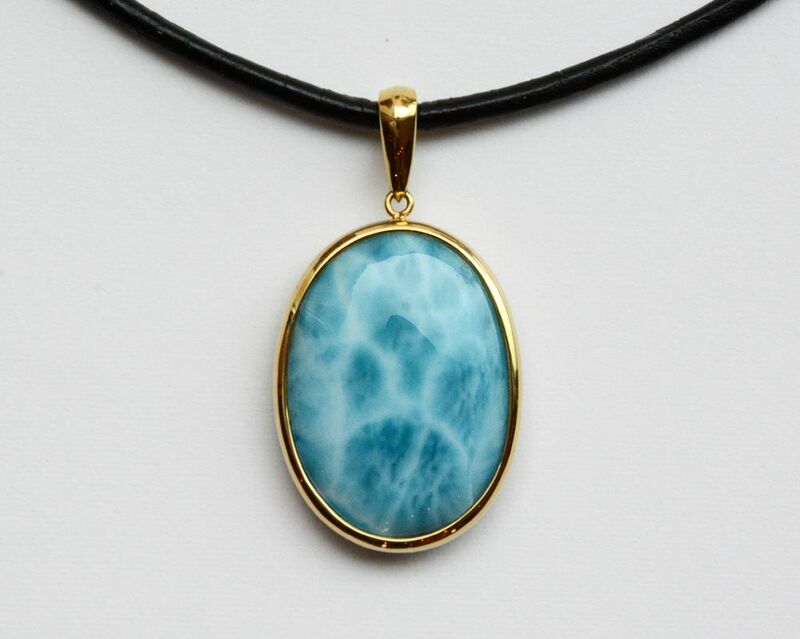 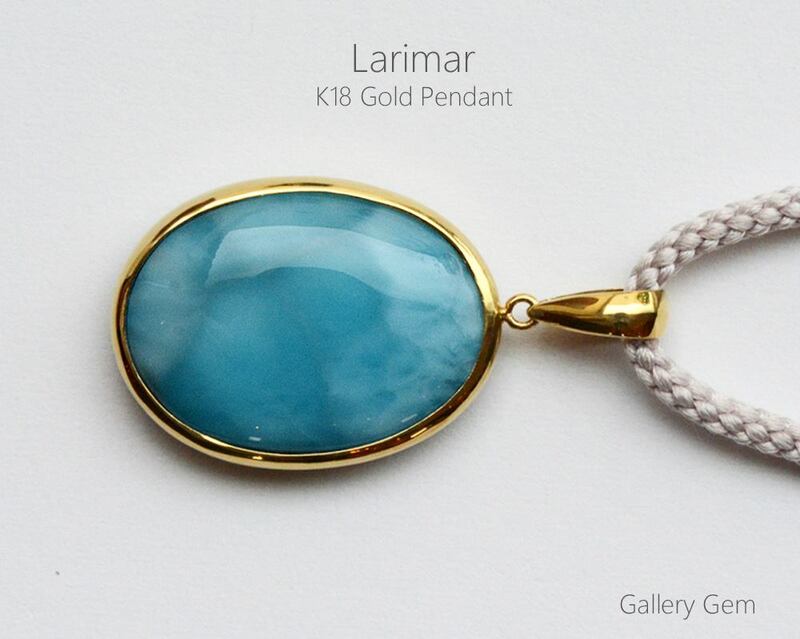 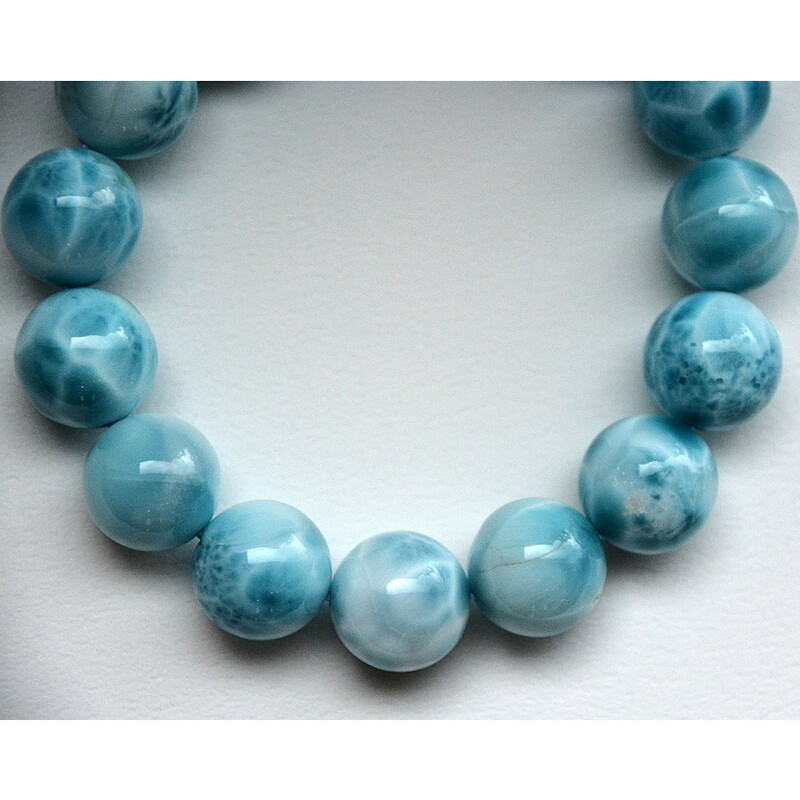 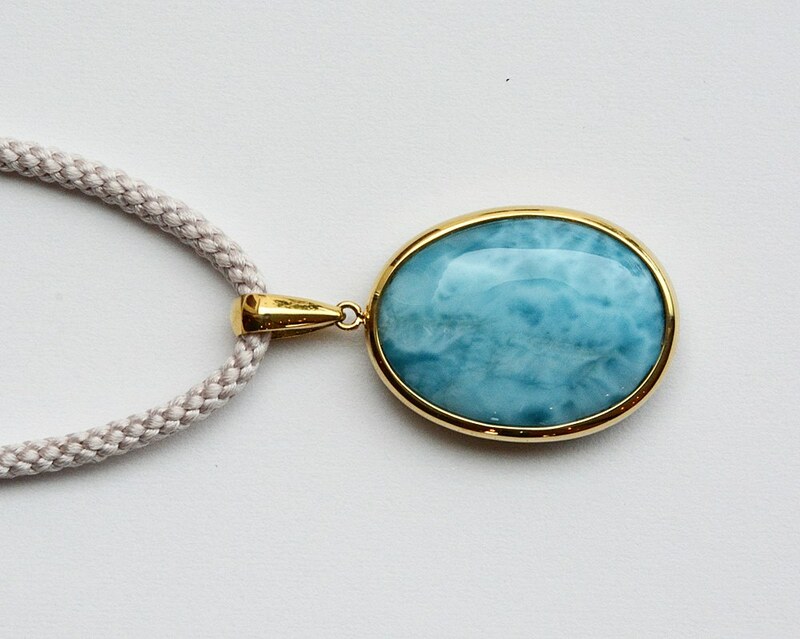 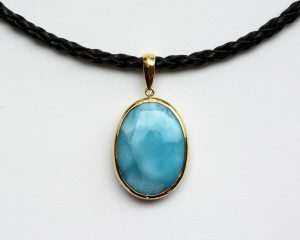 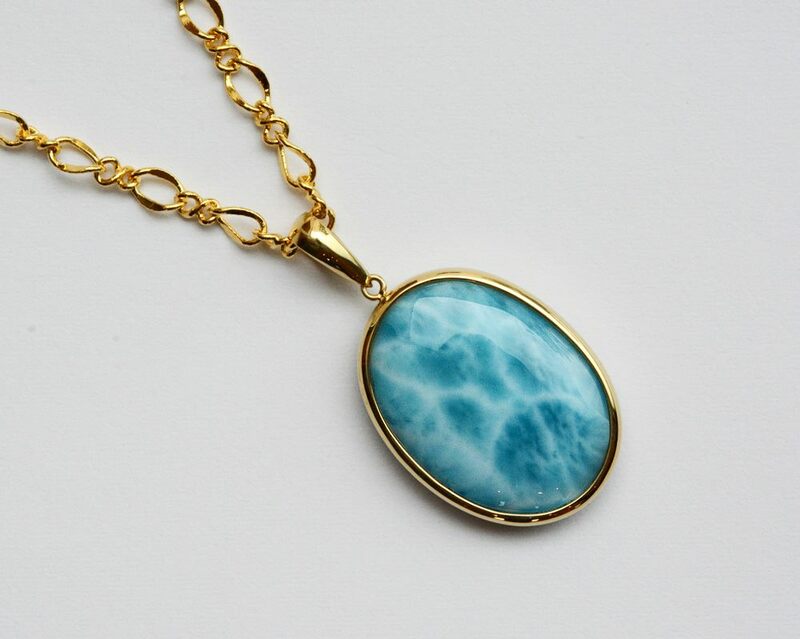 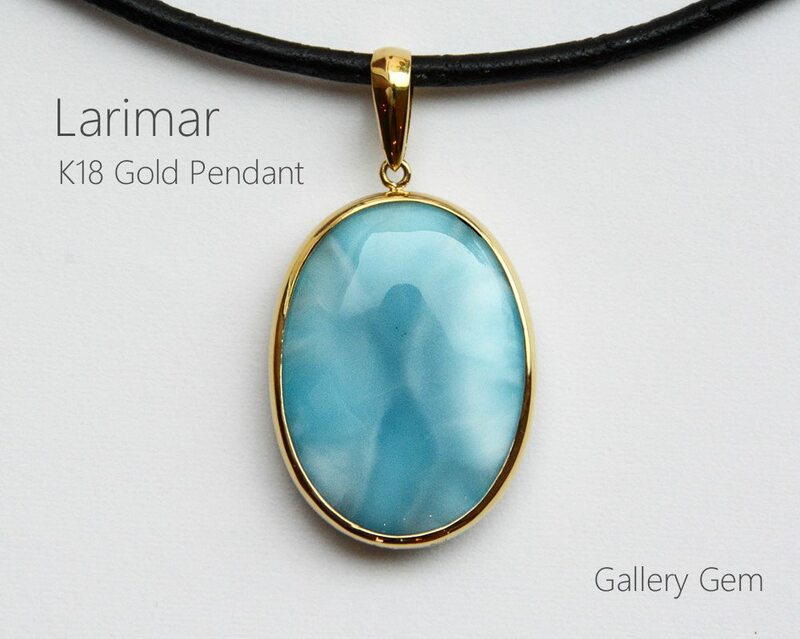 Reversible 18 karat Gold Pendant with Larimar.